She's no longer trapped in the closet! 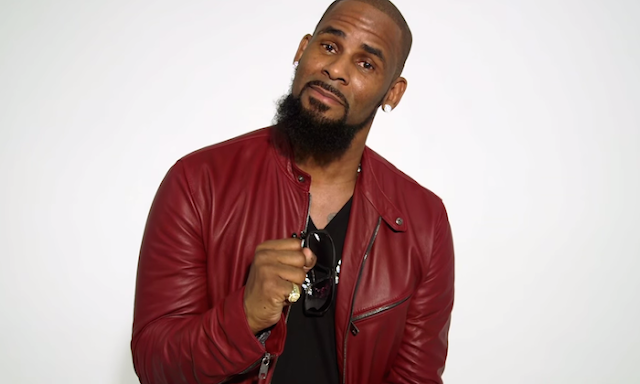 R&B singer R. Kelly has been reportedly slapped with a lawsuit for giving deputy sheriff, Kenny Bryant, wife chlamydia. Rapper and music mogul, Sean 'P. 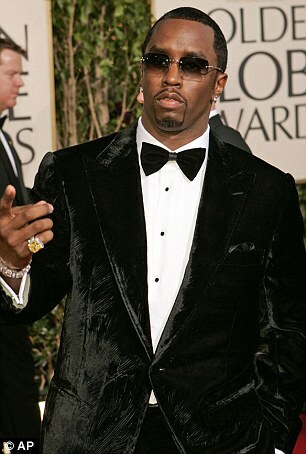 Diddy' Combs is reportedly being sued by five white men for "reverse discrimination".... claiming they were fired for being too old and white. Roc-A-Fella logo designer, Dwayne Walker, is taking Mrs. Carter to court over misuse of his logo in her hit 'Drunk in Love' video. Tmz reports that Walker, who owns the rights to Jay Z’s Roc-A-Fella Records logo, has filed a lawsuit against Beyonce for using the iconic symbol without his permission. 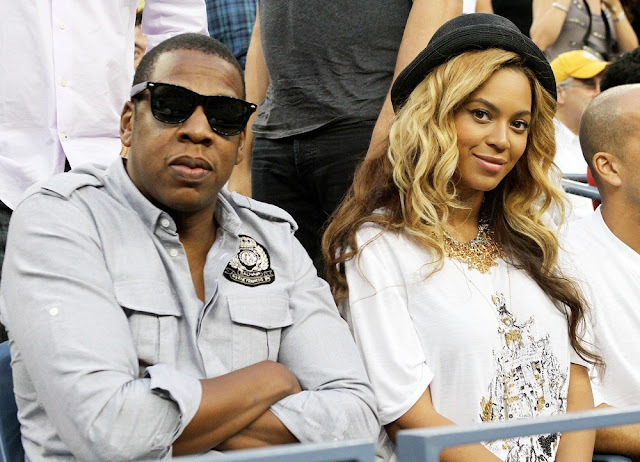 He stressed in the court docs, "being that she's Jay-Z wife isn't a pass to use the logo." Walker also states that his work is prominently displayed in the music clip, but the only place you see it is on Jay Z’s chain, guess for him that’s plenty. Although, Jay-Z isn’t named in this particular lawsuit, Walker had reportedly lost a separate $7 million lawsuit against the rapper back in September, and now he's trying to shake Hov's wife down for a few million. On Thursday, an Atlanta judge ordered Bobbi Kristina's ex-fiance Nick Gordon to pay Houston/Brown's family $36 million for her wrongful death. 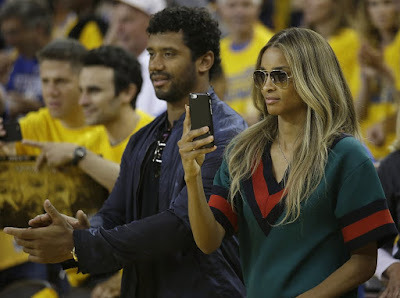 Ciara Fears For Russell Wilson's Life Following Future's Threats! It looks like Ciara's ex-fiance and son's father, Future, refuses to let her live in peaceful harmony after he reportedly posted two football emojis with three gun emojis on Instagram with several news sites claiming the rapper made threats at the songstress and her new beau, Russell Wilson. According to TMZ, Future have repeatedly denied posting the emojis during an interview with the Breakfast Club. Whether any of the threats are real or not, one things for sure is that Future will not be rooting for the Seahawks this season. Today, it was reported that pop superstar Lady Gaga was slapped with a federal lawsuit for stealing a singer-songwriter's track. According to the court docs, Rebecca Francescatti, claims Gaga's 2011 hit "Judas" track was a knockoff from her 1999 song, "Juda." Francescatti says the songs sound nearly identical, and is suing the pop star for not giving credits and damages. A rep for Gaga has, however, denied the allegations... claiming she stole nothing from the one-hit wonder. The legal battle went on for over a year, but eventually the federal court ruled in Gaga’s favor last month determining that the two songs are not substantially similar and that there was “not sufficient to give rise to a finding that the Gaga song has captured the total concept and feel of the Francescatti song” and “Judas” and “Juda” did not “share enough unique features to give rise to a breach of the duty not to copy another’s work.” The case was dismissed the same day. However, Francescatti isn’t giving up her battle against Gaga. She has now filed a federal court appeal in hopes they will reverse the decision the lower court ordered. This new legal action means Gaga isn’t off the hook yet and will have to once again defend herself against the accusation she stole from the unknown artist. Gaga has yet to respond to the notice of appeal. Unfazed by the ridiculous ongoing lawsuit, Lady Gaga just shared a nipsey photo of herself inside a glam'd out airline on Instagram. "FASHUN," she wrote alongside the risque selfie. "Vintage Mugler on the plane Listening to Miles Davis My favorite is Flamenco Sketches." 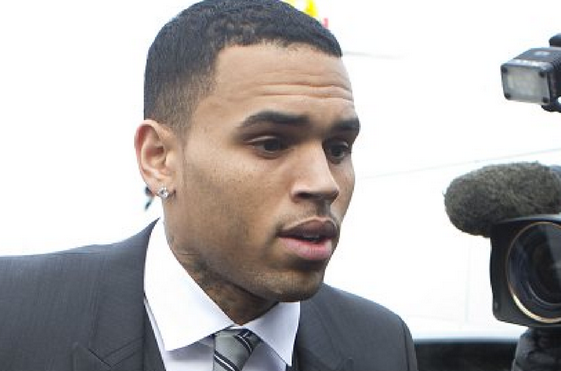 Chris Brown has reportedly counter-sued a man who he said tried to extort him over an alleged basketball game gone wrong last year. As previously reported, the lawsuit stems from a pick-up basketball game Brown played in last summer with victim Malcolm Ausbon. Ausbon sued the singer for allegedly starting a fight with him over a foul call outside a L.A gym. In the new countersuit, Brown denied any involvement in the fight and claims that Ausbon threatened to tell police he was unless [Brown] paid him $250,000. "Mr. Ausbon believes $250,000 will suffice compensating him for his physical and emotional injuries ... Mr. Ausbon is placed in a position by the LAPD where he needs to decide whether he will press charges for aggravated assault and battery." "However, Mr. Ausbon prefers not to resort to filing these claims or the lawsuit. He would rather be compensated." The pop singer's lawyer, Mark Geragos, says in the counter-suit Ausbon had promised to keep the incident a secret upon payment. Brown however didn't pay and Ausbon went ahead an filed his lawsuit. Last week, Brown admitted to violating the terms of his probation over a fight with a 20-year-old man in Washington, D.C. last November. While the criminal case against Brown is still ongoing, a judge ordered him to spend an additional 131 days in jail. Brown's assault trial has been delayed until June, reports AP, after prosecutors told the presiding judge that they wouldn't grant Hollosy immunity to testify at the singer's trial, reports Rollingstone. Jayz Faces A Lawsuit For Using The Roc-A-FELLA Logo! According to previous reports, Dwayne Walker, the original creator of the Roc-A-Fella logo, filed a lawsuit against JayZ, Dash, Kareem Burke, and Universal Music Group for breaching a contract and copyright infringement. According to Walker, the parties involved promised him $3,500 and 2% of revenues for ten years after the first year of the logo’s use. Walker claims that he received the $3,500, but was never given the 2% of revenues. It has been reported that Walker is owed $7 million in unpaid royalties. I doubt JayZ will have any problems paying this, if the allegations are true. 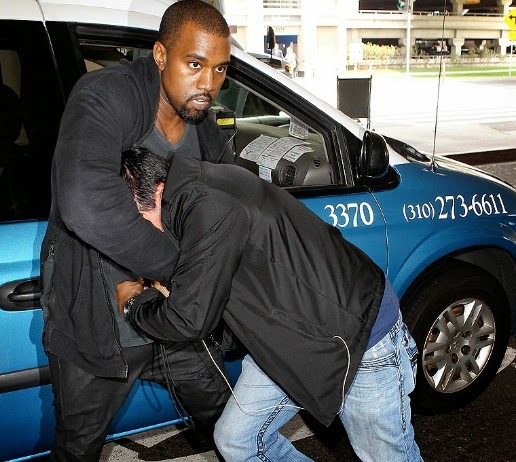 Despite striking a plea deal in the criminal case stemming from his attack on a photographer at LAX last summer, rapper Kanye West is heading back to court to face a nasty civil lawsuit by the victim. Rapper Da Brat Ordered To Pay Ex-NFL Cheerleader Shayla Stevens A WHOPPING $6.4 Million! 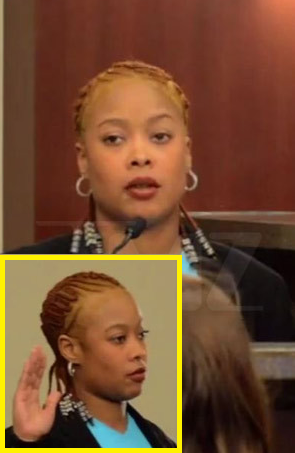 Rapstress Da Brat has just been ordered by the court to pay up a whooping $6.4 million to ex-NFL cheerleader, Shayla Stevens, for smashing a bottle on top of [Stevens] head inside an Atlanta nightclub in 2007. 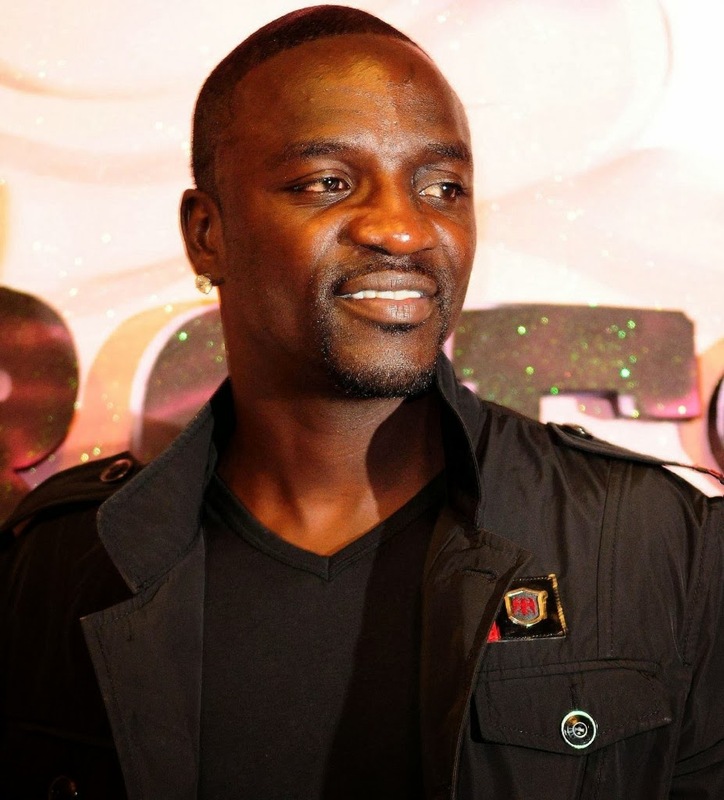 Akon can't seem to catch a break as a new report claim the singer has been slapped with $95,000 lawsuit from an electric company, this week. 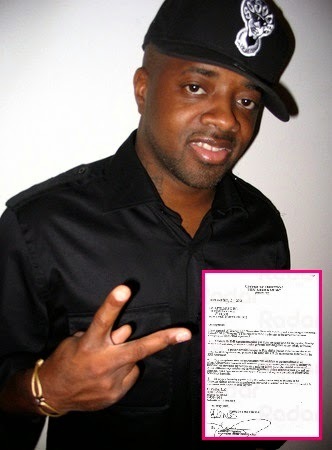 Jermaine Dupri has been slapped with a civil lawsuit by his ex-business partner, who is suing him for $1 million in damages following a business deal gone wrong. IT'S OVER! Wendy Williams FILES FOR DIVORCE ... Estranged Husband Kevin Hunter in Disbelief! Soulja Boy Exposes Himself on Twitter.... The Thirst is Real! Quick Easy Steps for a Flawless Make-up to Kick Start Your Day! F**K Her! .... Producer Rico Love BLAST Miley Cyrus for Pulling "Culture" Stunt For Fame! Gossipwelove.com - Entertainment News Media. All Rights Reserved 2016-2019. Powered by Blogger.